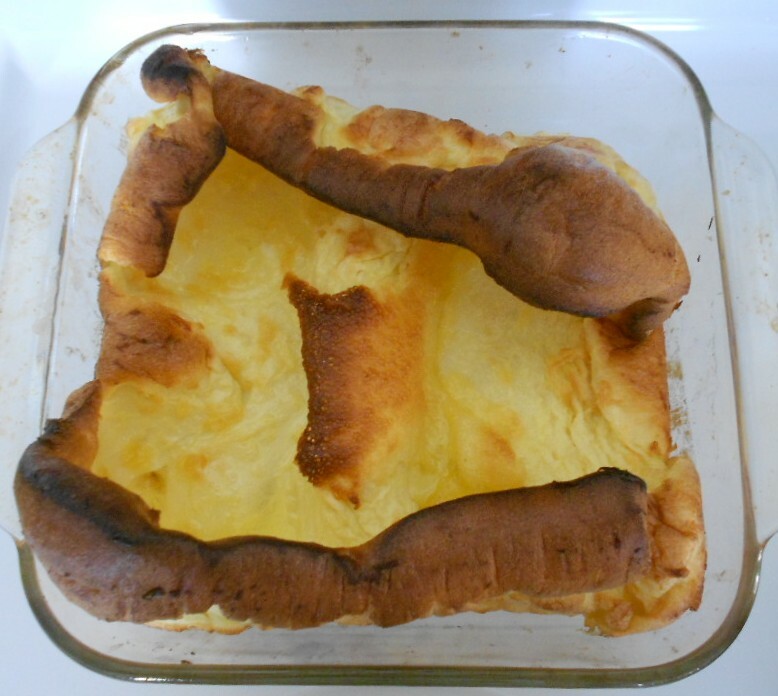 Simple German pancake type recipe. I made this version quite buttery, so I’d consider this a special occasion dish. GARNISH- with confectioners sugar, syrup, fruit, chile cheese, bacon, whatever you’d like! Whisk the eggs very well. Add the milk and whisk. Mix in the flour and whisk until super smooth. Melt the butter in a square Pyrex dish in the microwave to get the dish warmed up. Do not stir, just add to the oven, set the timer for 20 minutes and walk away. 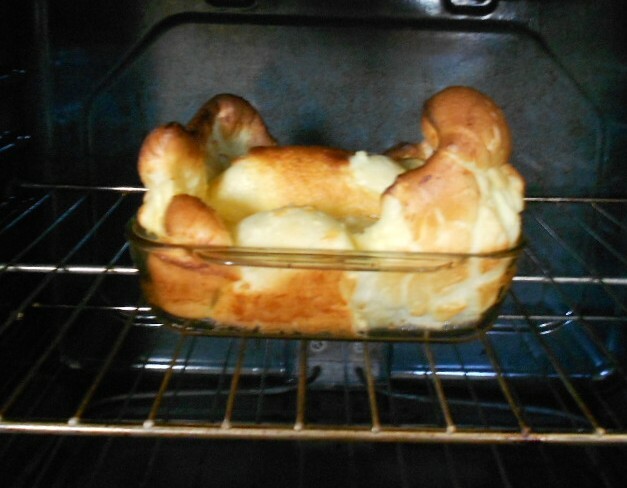 Remove from the oven, turn the dish upside down over a plate. It should just slide out. Return to puffy side up. We enjoyed tearing off pieces of the Dutch Baby as is!